Dokumentarac o Challenger II, od ideje za novim tenkom krajem 80-ih do gradskih borbi nakon okupacije Iraka. Dva sata programa. • Other potential capability improvements depending on the MoD’s requirements. Trenutno brojno stanje gde ce moguce sa postojece tri srezati na dve oklopne brigade. 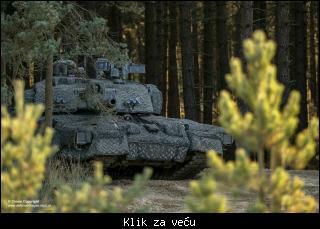 Citat:The British Army's Challenger 2 fleet has already been reduced to three regiments, each of which would have a wartime holding of 56 MBTs. Of these three regiments only one is ready for immediate deployment and on a day-to-day basis has just one squadron of 18 Challenger 2s plus two spare. While the British Army took delivery of 386 Challenger 2s, this is currently being reduced to 227 units to equip the three regiments and provide vehicles for training in Canada and the UK. However, although each of the British Army's three armoured infantry brigades would have one Challenger 2 regiment, under the 2015 Strategic Defence and Security Review (SDSR) the number of armoured infantry brigades is to be reduced to two. Two new strike brigades are to be formed, but these would not have a Challenger 2 regiment, meaning that the British Army's Challenger 2 fleet will be reduced even further to around 150-160 units. This would make the UK's MBT force smaller those of France and Germany, with the latter already expanding its frontline strength from a baseline of 225 Leopard 2A6 MBTs. Citat:An effort by the British Army to extend the life of its Challenger 2 main battle tanks out to 2035 is due to move into a new gear next month as some of the world’s top armored-vehicle suppliers submit bids to secure work under the program's assessment phase. Up to 227 tanks are to undergo a life extension program aimed primarily at addressing obsolescence issues in the turret, but it’s possible some limited capability enhancements also will be added. Citat:Lockheed Martin UK is to bid for the Ministry of Defence’s contract to upgrade the British Army’s Challenger 2 tanks. 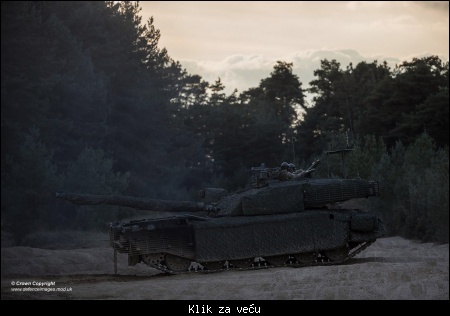 In collaboration with Elbit Systems UK, Lockheed Martin UK will submit a proposal to undertake the Life Extension Project (LEP) that will see the main battle tanks in service until 2035. 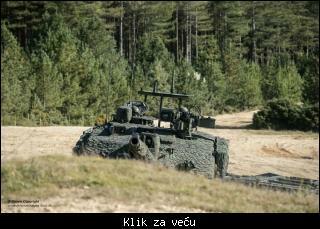 Citat:Army chiefs are planning to slash the number of frontline tanks by up to a third, leaving Britain with fewer tanks than Serbia. Under the plan, one of the army’s three tank regiments will see all its 56 Challenger 2s replaced with Ajax fighting vehicles. The cut would leave the army with only about 40 more tanks than traditionally neutral Switzerland. At the other end of the scale, Russia has 2,700 tanks. Lako im je kad su na ostrvu a nepostoji realna prijetnja od invazije sa mora, tako da za odbranu nisu im toliko ni bitni tenkovi kao Rusiji. 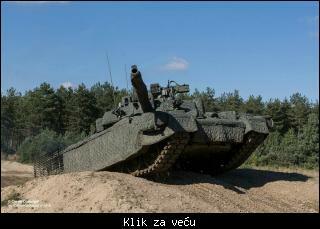 Citat:Challenger 2 TES с комплектом камуфляжа MCS. Великобритания, октябрь 2016-го года. Insan :: Lako im je kad su na ostrvu a nepostoji realna prijetnja od invazije sa mora, tako da za odbranu nisu im toliko ni bitni tenkovi kao Rusiji. Videćemo šta će biti ako izađu iz EU, onda će definitivno morati da povećaju vojsku. Iionako visoki oficiri nezvanično kukaju kako im fali ljudstvo i tehnika. Grebu po samom dnu regrutujući srednjoškolce sa raznoraznim bajkama. Oni više sada strepe od unutrašnjih potresa nego od spoljašnjih opasnosti. Nema unutrašnjih poresa u Britaniji. Bio crnac, pakistanac, kinez ili naš, sa njihovim pasošom, ti si britanac i imaš apsolutno sva prava kao i pravi Englez i zato nema kod njih rasnih nemira kao u Francuskoj. I to će ti potrditi svako ko živi tamo ili ima posla sa njima. Nisam ni mislio na dođoše. Škoti ne miruju, a to će iskoristiti i Irci, a u prilog separatizmu im ide London preplavljen Indijcima, Arapima i ostalim ”izvornim Britancima”.